Ensuring the highest level of integrity and respect is afforded to all clients, community members and partnering institutions of the UCC. "Let me take this opportunity to say a BIG thank you to you and all the other members of the Scholarship Office who have supported me over the years. As this is my final semester with the University, I deem it appropriate at this time to extend sincere gratitude to the Scholarship Office / UCC Foundation which has been more than a rock to me since I started my journey in 2012 until this very moment when the finishing line is in view"
"A child with a burning desire for learning has no money; however, he has faith that can speak to the tallest mountain. Trusting in God and being determined is the key to success. I left Calabar High School with ten (10) CXC subjects but did not have any savings to continue school for a higher education. However, that did stop me from pursuing a higher education. One day, my friend and I were having a conversation where he told me about an inner-city leadership programme being offered by the JAMAICA CHAMBER OF COMMERCE / UNIVERSITY OF THE COMMONWEALTH CARIBBEAN (UCC)"
The University of the Commonwealth Caribbean Foundation (UCCF) represents a beacon of hope for students in need, with an abiding desire to build upon their inherent potential, whether by means of enhancing their education or their competencies. 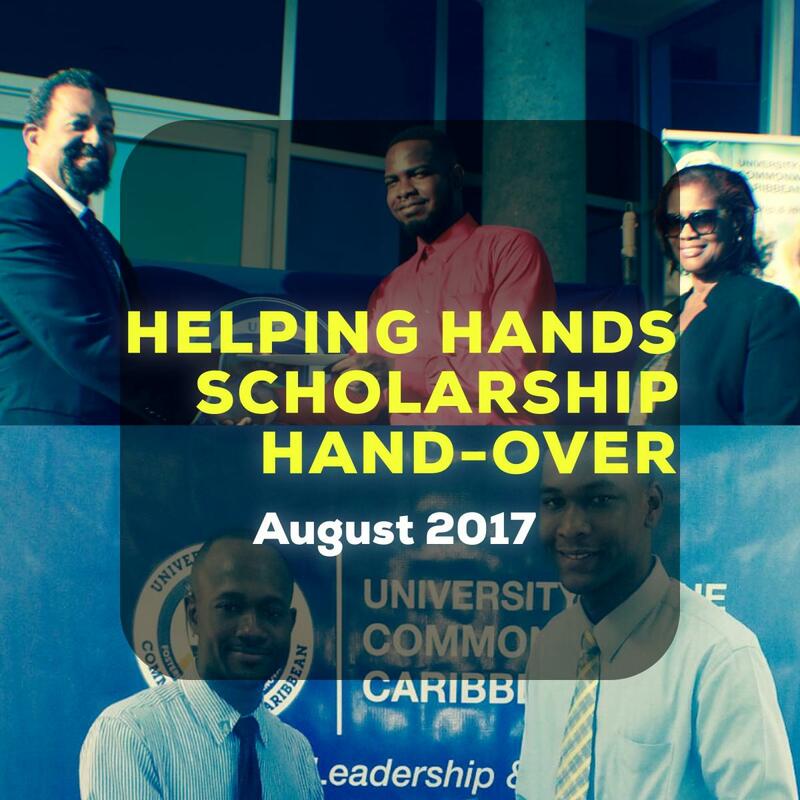 Since 2007, the UCCF has worked with generous donors at home in Jamaica and abroad, to provide impactful scholarships to needy young people and to assist them in transforming their lives, while cumulatively beginning to contribute, over time, to Jamaica's economic development. 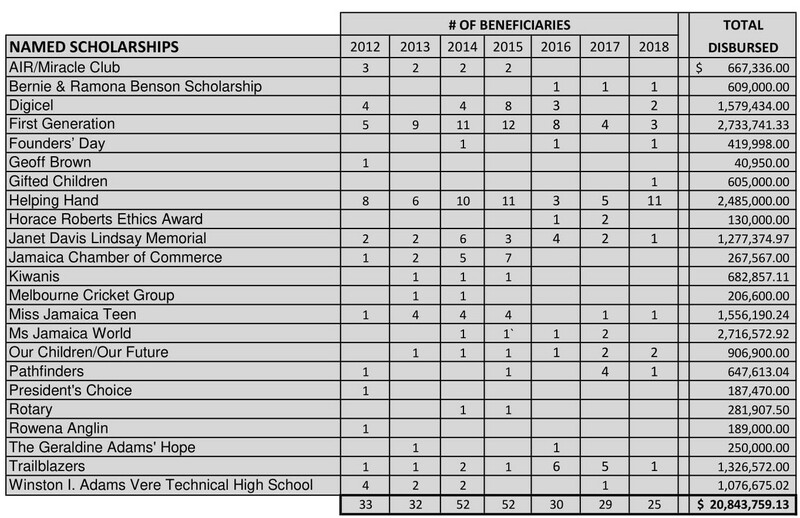 As you browse this Web Page, you will review heartfelt testimonials from a few of the students who benefitted from such scholarships. UCCF also recognizes and celebrates some of the donors who made it possible for such students to build bridges to a much brighter future. The UCCF is registered in the United States of America as a 501 (c) (3) charitable corporation and is also registered as a Jamaican charitable organization under the Charities Act of Parliament. Has been re-established as announced at the recent Luncheon with UCCF Scholarship Recipients which was hosted by UCC’s Executive Chancellor & Interim President, Professor Dennis Gayle. The concept of the Praying Hands was generated by the UCCF Helping Hands Committee more than 2 years ago. 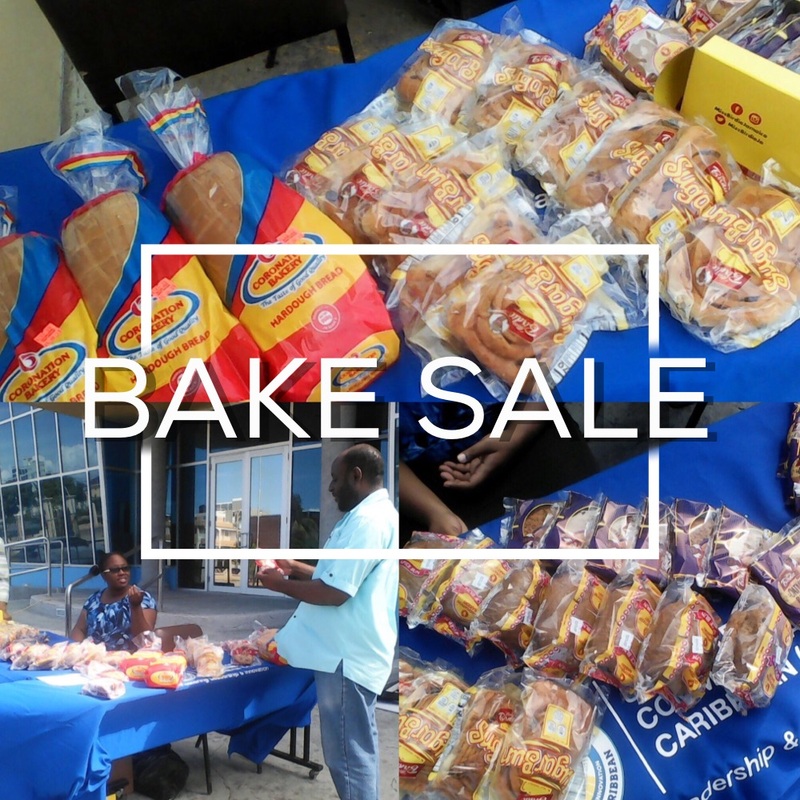 Baked goods for sale initially at Worthington Avenue Campus to assist other UCCF Scholarship recipients with lunch and bus fare.